Go all the way on the Dragonfly Trail, a multi-use bike and pedestrian trail that weaves its way through Columbus. 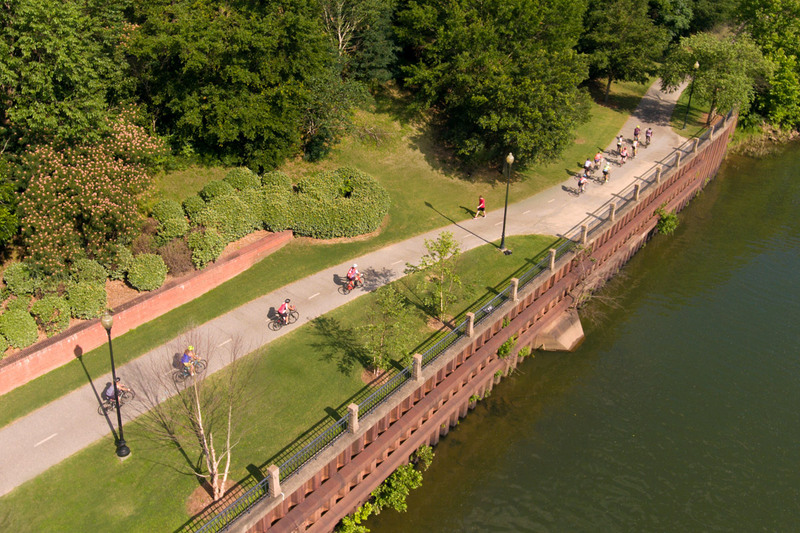 Columbus, GA has many beautiful and inspiring places to visit on bicycle, and we’re especially good at welcoming the two-wheeled visitors. 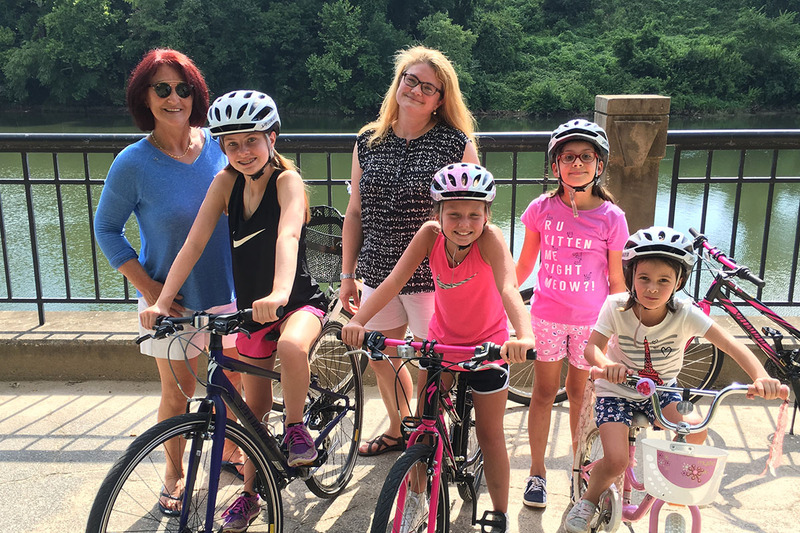 You can start your bike adventure on the Chattahoochee Riverwalk where you will skirt the cityscape, examine historic monuments and markers, and take in the wild beauty of the rolling river and native wildlife. 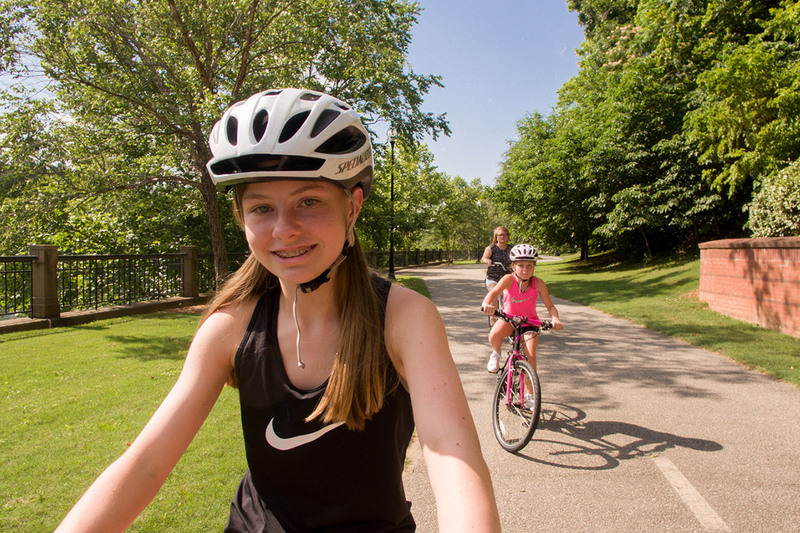 This 15-mile linear park spans the riverfront from the Lake Oliver city marina south to the National Infantry Museum. Or, Columbus’ Dragonfly Trail is a multi-use bike and pedestrian trail that weaves its way through the city. The 11-mile trail follows former rail lines that wind through Columbus where you can see a different side of the city, with rest stops along the way. So get the gang in gear and head to Columbus, GA!